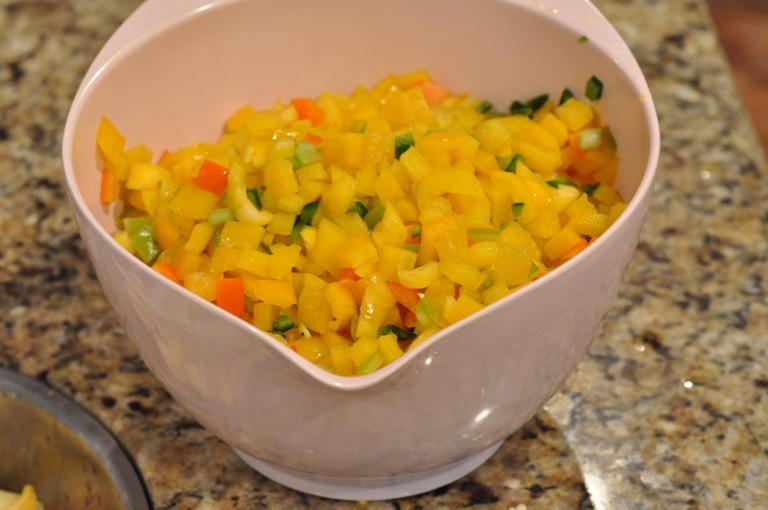 This peachy relish has a wonderful colour and will add a little kick to those summer dishes! 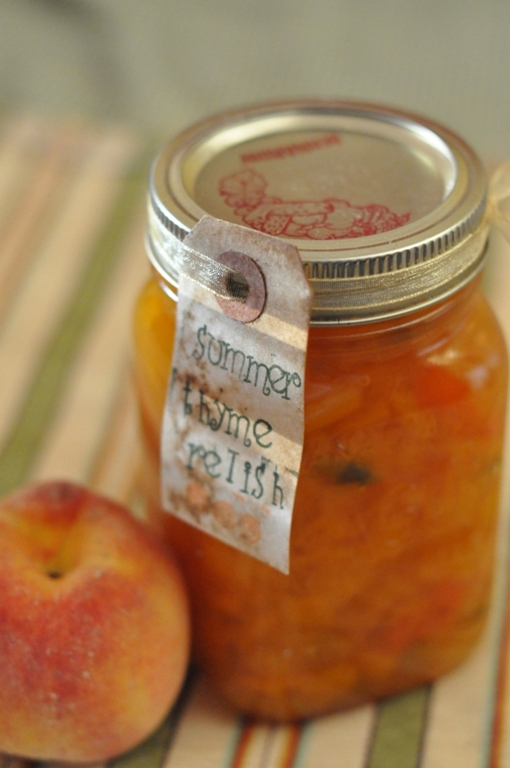 It can have as much heat as you can stand because it’s sweet main ingredient “peaches” will balance out the heat. Prepare for water-bath canning. Sterilize jars in the oven at 250F for 30 minutes. 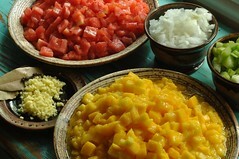 To easily remove the skin on the peaches, blanch them in a pot full of boiling water for 30 seconds. Remove and place on a cookie sheet. Once cool to the touch slip the skins. Use freestone peaches that are ripe but firm. DO NOT use bruised fruit or seconds as this will make the removal of the skin very difficult! Wash and chop remaining ingredients. 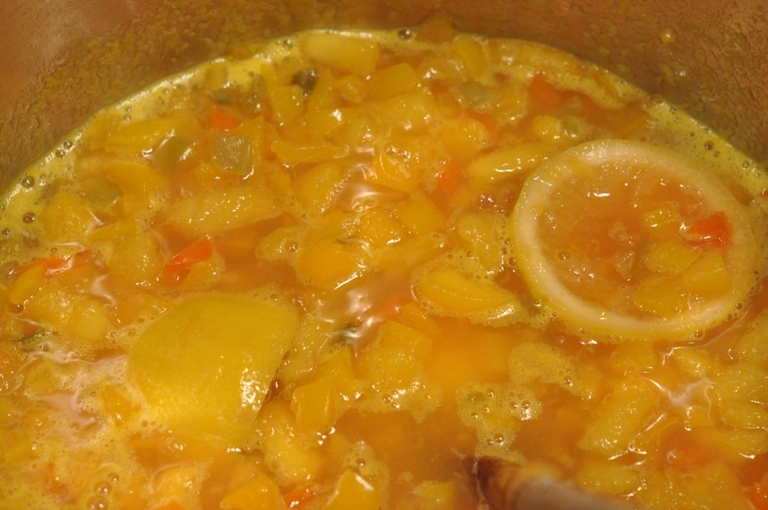 In a stainless steel saucepan bring peaches, peppers, lemons and vinegar to boil over medium high heat. Reduce heat and boil gently uncovered for 35-40 minutes or until soft. Remove and discard lemon halves. Add sugar and salt and return to a boil. Boil uncovered for 40-50 minutes or until mixture is thickened. Stirring frequently to prevent sticking. Skim foam as necessary. Pour hot relish into hot sterilized jars leaving 1/2″ headspace. Remove air bubbles, top with additional relish if necessary, wipe rims with a damp paper towel, place snaps and rings on jars and fasten until resistance is met, adjusting so they are finger-tip tight. Process in a boiling hot water bath for 15 minutes. When time is up, turn off heat, remove the lid and let the jars stand in the hot water bath for 5 minutes before removing to a folded towel. Check seals, label, and store. Refrigerate any jars that have not sealed.